Become a Certified Health Coach! Subscribe Here for Immediate Access to the Health Coach Training Guide! BONUS: I have Ambassador-Level access to special tuition offers & program scholarships - get on this list to be the first to know when these goodies become available!! No spamming. Only the good stuff you want. Yay! You're on way to becoming a Health Coach! Always feel free to contact me if you'd like to talk about my experience with the program, and my work at a holistic health coach. 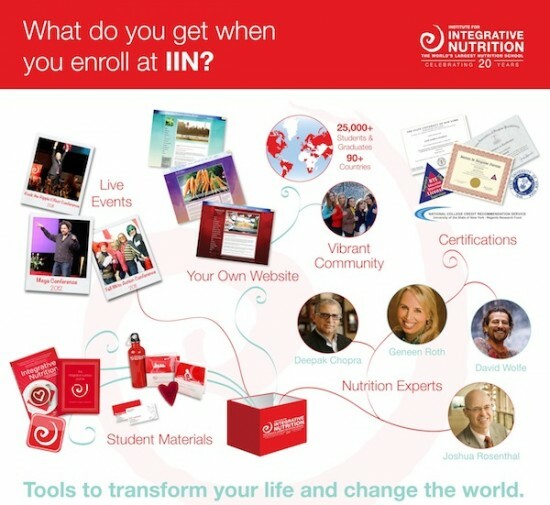 Why Study At the Institute for Integrative Nutrition? IIN students are inspired by experts who are at the forefront of wellness.